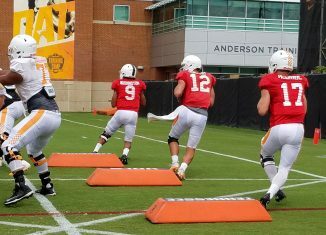 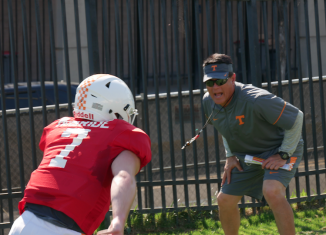 Mike Canales, the Vols' quarterbacks coach, discussed the possibility of Tennessee using a two-quarterback system on Sunday. 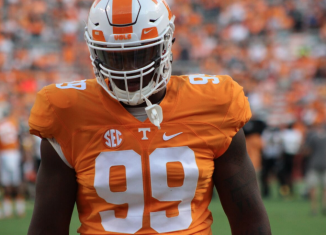 Kahlil McKenzie says he "feels a lot better" about his body and shape he's in heading into a crucial junior year for him and the Vols. 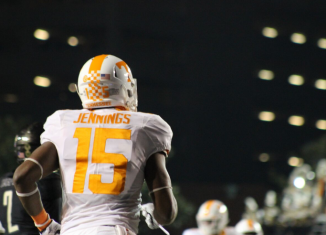 Junior receiver Jauan Jennings has become a player-coach in Tennessee's young wide receivers' room.